We've all heard about ways to save money on gas in Oregon, but does it really add up to much? How much can we boost our fuel economy through preventive maintenance and more courteous driving? The US government has a website that actually answers that question. Let's look at some of the data and find out if any of these fuel-saving ideas are really worth the effort. We've all heard that a tune-up can improve gas mileage. It turns out that it can save us 4% at the pump. At $3.50 a gallon, that's 14 cents per gallon in savings, and at $4.00 a gallon, that's a 16 cent per gallon savings. Other common repair items can also save you at the pump. For example, if your oxygen sensor is faulty, it's not delivering the information to your engine's computer that allows it to calculate the right fuel-to-air ratio. The result? The fuel doesn't burn efficiently. Replacing that faulty sensor can save you 40% at the pump. That's certainly a reason to improve your car care and have the automotive professionals at Lance's Superior Auto inspect things once in a while. A faulty oxygen sensor will activate the check engine light. So will a lot of other problems that are big fuel wasters. Finding out why your light is on and fixing the problem will also improve your fuel economy. 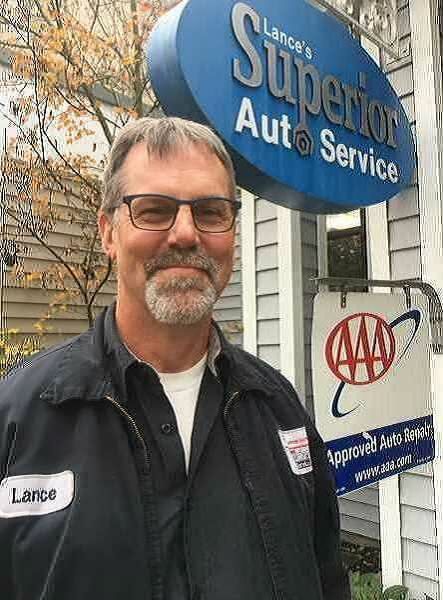 Bring your car into Lance's Superior Auto in Wilsonville and we will take care of it for you.